The Northern Territory Government’s vision to build an Iconic National Indigenous Art Gallery in Alice Springs has received a major boost with a host of prominent industry experts joining the project Steering Committee. The Co-CEO of Hobart’s world-renowned Museum of Old and New Art (MONA), Mark Wilsdon is one of five high-calibre members of the Steering Committee announced by the NT's Minister for Tourism and Culture, Lauren Moss today. The other additions are Michael Lynch CBE AM, Janina Harding, Michael Liddle and Department of Tourism & Culture's CEO Alastair Shields. There is still one more position to be filled by a board member from Museum & Art Gallery in Darwin. “We are restoring trust in government by creating jobs and building stronger communities – this exciting project will do exactly that and on a scale not seen before,” Ms Moss said. “We know locals want more tourism and construction jobs – we have listened and we are taking action with this $50 million Iconic National Indigenous Art Gallery. Securing such a quality group for the Steering Committee is a massive coup for this project. I am very pleased to announce this eminent group of Australians and I look forward to working with them on this significant major project which will be a national first”. “Each member of the Steering Committee brings a wealth of experience from across the arts and cultural industries”, she added, “which will focus the government’s consultation and policy direction on designing, building, curating, and establishing a major cultural institution. Along with our $20 million investment in an Indigenous Cultural Centre, these two major projects will provide a huge boost to Alice Springs and create economic growth in the region. In February, former curator, writer and consultant, Hetti Perkins and Philip Watkins, Chief Executive of Desart, the peak industry for Central Australian Aboriginal art centres, were named as Co-Chairs of the steering committee. The first Steering Committee meeting will occur early next month. Mark Wilsdon – The Co-CEO, Museum of Old and New Art (MONA) in Hobart. Mark has over 25 years’ experience in the tourism and hospitality sector and has operated and headed up several successful restaurants as a chef and owner. He is a Director of the Tasmanian Tourism Industry Council, a Member of the Glenorchy Art & Sculpture Park (GASP) Social Enterprise Committee and a past Vice President of the Alcorso Foundation. 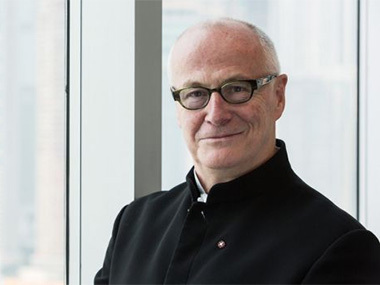 Michael Lynch CBE, AM – Chair, Sydney Community Foundation; former General Manager of the Australia Council, former Chief Executive Officer (CEO) of both the Sydney Opera House and the South Bank Centre in London, and former CEO of the West Kowloon Cultural District in Hong Kong. 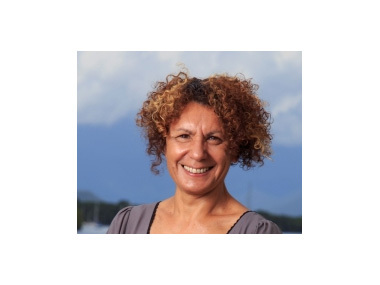 Janina Harding - Artistic Director of Cairns Indigenous Art Fair, Harding has thirty years’ experience in Aboriginal and Torres Strait Islander arts and cultural projects and programs and served two terms on the Aboriginal and Torres Strait Islander Arts Board of the Australia Council. Michael Liddle - Is an Arrente Traditional Owner from Alice Springs. He is also the Chair of the Strehlow Research Centre Board, an Executive Member of the Central Land Council and a former Deputy Chair, Director of Urapuntja Aboriginal Corporation. Mr Liddle is currently the Intercultural Engagement Manager at Desert Knowledge Australia. Despite my best efforts, I can still get no news on comparable progress for the National Indigenous Cultural Centre, also announced by the NT Labor Government for Alice Springs.